375 Colonial Lane Algonac, MI. | MLS# 217081860 | Marine City and Algonac homes for sale,Westrick Real Estate One 810-765-8861, Marine City MI Homes,Real Estate Marine City MI,Homes for Sale Algonac,Algonac MI Agent, Home for sale St. Clair MI,St. Clair Homes for Sale,Property Marine City, Algonac Homes. 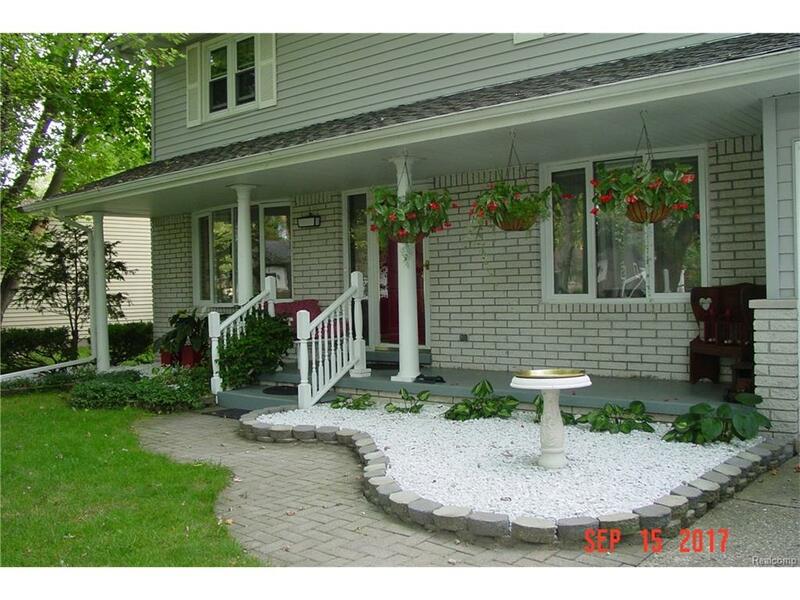 Algonac 4 bedrooms 1 1/2 baths on one of loveliest streets in town. This delightful home features Brand New spacious kitchen with lots of wood cabinets and tile floor, has a door wall opening to deck, Laundry room off garage entry door into the home with EZ access to 1/2 bath. Both Bathrooms are updated, Living room has bay window, New Carpet, fresh paint. The home colors are calming and set the stage for a peaceful, relaxing abode. Beautiful wood stairs going up to the 4 spacious bedrooms. NOTE that if you purchase you may choose to include the accessories in bedroom with dk grey /black furniture. Items can be left as is less guitar and amplifier (bed and end tables are built in.) fenced backed yard beholds custom brick paver patio and nicely landscaped yard. Corner lot has no neighbors and lots of trees across street . Make your appointment today to see this exceptionally nice home. Exclude Jacuzzi, stove and refrigerator negotiable.